Book Peter Campbell as a keynote speaker. Peter Campbell is the Financial Times’ Global Motor Industry Correspondent, based in London. He leads the FT’s coverage of the industry, online and in print, and works with a team of local correspondents around the world to cover the major car makers, industry trends and technological breakthroughs. For more information on technology speaker Peter Campbell, contact VBQ Speakers founding agent Leo von Bülow-Quirk on leo@vbqspeakers.com or 0044 7833 727090. Peter Campbell is the Financial Times’ Global Motor Industry Correspondent, based in London. Prior to this role, he covered technology and UK company news for the FT. He has previously also covered media, energy, telecoms, tax and industry. 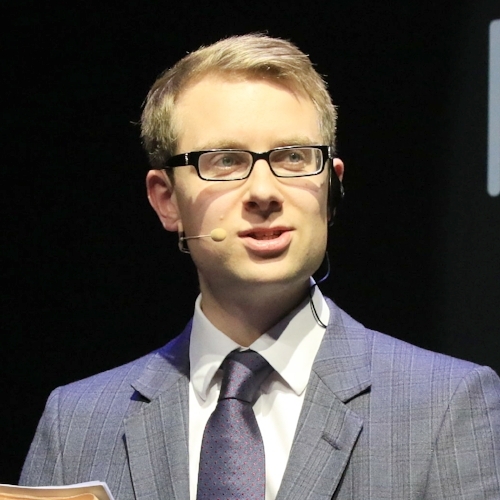 He was named Young Journalist of the Year at the British Press Awards for 2014. Self-driving vehicles and electric cars are just two of the big trends set to disrupt the automobile industry - with big repercussions for society at large as well. Peter travels the world researching and reporting on the latest innovations, and the people and companies driving them. His expert analysis and stories from the front line both educate and entertain audiences looking to understand how the industry is changing.